Jakarta in its various guises - at times under the influence of Chinese, Indians, Portuguese, Dutch, British and Japanese, dates back over two thousand years. This is a snapshot of some events that led to the modern, thriving, cosmopolitan city it has become. An established Hindu settlement was in place at the mouth of the Ciliwung River. Trade beads and a dish from southern India show trade with India was established as early as 150 BC. A stone called 'Prasasti Tugu’, erected by King Purnawarman, recording the construction of a canal, was excavated near the present village of Tugu, which is just south of the present harbour Tanjung Priok. According to this stone, the king ruled over a river basin kingdom called Taruma or Tarumanegara. The characters on the stone indicate a Hindu influence. 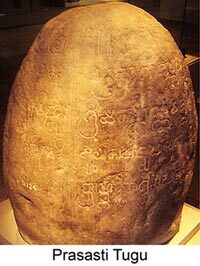 Java was well known to Indian and Chinese scribes from the beginning of this period. The trading ships that came from India helped the spread of Hinduism and Buddhism. Chinese records show that an Indonesian kingdom called Ho-lo-tan, sent missions to China in 425 AD. Historians have suggested this kingdom was Tarumanegara ruled by King Purnawarman. Trading among the Arabs, Chinese, Indians and Indonesians was peaceful. The products traded were diverse and in small volumes. It needed European privateers to introduce the element of monopoly, which led to aggression and war. Arab traders had been sailing to Java from Arabia and the West Indian port of Gujarat, well before the advent of Islam. According to some historians Islam may have originally come from southern India, whose Muslim traders arrived in this region before Gujarat came under Muslim rule in the 13th century. The earliest mention of what is now Jakarta, is in the 12th century, when referred to as Sunda Kalapa, because of its export of coconut, or kalapa. It was the principal harbour for the Javanese Hindu kingdom of Sunda, the capital of which, Pakuan was located 60 km upstream at what is now Bogor (which gets its name from a now extinct palm – Bagor). 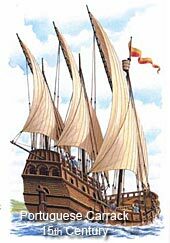 The first European fleet, comprising four Portuguese ships from Malacca arrived in 1513. The Portuguese, after conquering Malacca in 1511, saw Sunda Kalapa as an ideal relay port from the ‘Spice Islands’ as the Moluccas were known. In 1522 the kingdom gave the Portuguese permission to build a factory and godown, mainly as protection against the growing influence of the Muslim Sultanate of Demak in central Java. The word ‘factory’ long used in Asia to describe trading settlements of Europeans derives from the Portuguese ‘feitoria’ where trading goods were collected for distribution. However a Sumatran Malay warrior from the Sultanate of Demak, Fatahillah, conquered Hindu Sunda Kalapa on 22 June 1527 – the day Jakarta now celebrates as its birthday. Initially several small Dutch companies equipped fleets of ships to trade in the Far East. In 1596 many arrived in Jayakarta to trade spices. However this ‘tramp trading’ led to internal competition. They were amalgamated under one banner – the VOC (Vereenigde Oostandische Compagnie) in 1602. 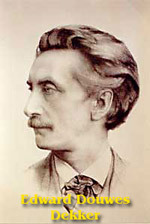 The company was managed by Heeren XVII or Gentlemen Seventeen. 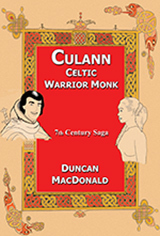 It was given sweeping powers, including the license to establish colonies, declare and sign peace treaties with indigenous rulers, establish fortifications, call for financial support and requisition the military or navy for defence purposes. The VOC was the first company to issue stock to shareholders. In 1611 the Dutch were given permission to build a godown in the Chinese quarter of Jayakarta, on the eastern bank of the Ciliwung River. The Dutch reneged on their agreement and fortified the godown into Kasteel Jacatra in 1618. The architect of this action was newly appointed VOC Governor General for the Moluccas, Jan Pieterszoon Coen. The British East India Company’s first voyage in 1602 commanded by Sir James Lancaster, arrived in Aceh and sailed to Bantam. The British were given approval to build a trading post which became the centre of British trade in Indonesia until 1682. The British were also allowed to build houses directly across from the Dutch in Jayakarta in 1615 by the Sultan of Banten, Prince Jayawikarta. Relations between the Prince and the Dutch deteriorated after the Dutch built their fort. The Prince’s soldiers attacked the Dutch fortifications in 1619. But even with the help of 15 British ships, Prince Jayawikarta’s army was defeated by the Dutch, who then drove away the English ships and burnt the British trading post. 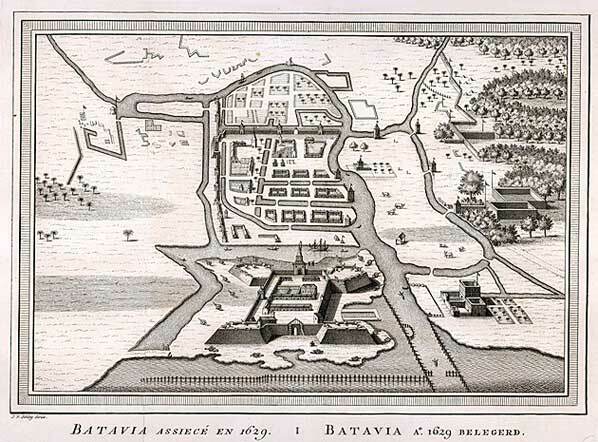 After the defeat of the Prince and the British in 1619, on the ruins of Jayakarta, J.P. Coen founded Batavia, named after the ancestors of the Dutch people, the Germanic tribe called the Batavi. 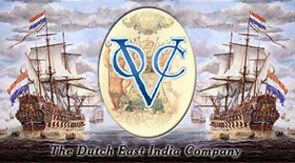 Thus was created the headquarters of the VOC in the Indies. A company town which was the hub of the very lucrative Dutch trade and commerce with trading posts reaching from Africa to Japan. J.P. Coen has a tarnished reputation. He was no doubt a strong man often using means to justify an end. He was capable of ruthless and sadistic decisions including the enslavement and forcible transplanting of native peoples. He advocated populating Batavia with European (read Dutch) colonists who could be commandeered in times of need. However he was bitterly disappointed in the calibre of the Europeans who heeded his call. He felt they were a deficient and despicable lot, addicted to drink and prompted by the lure of personal gain. No doubt he was a patriot and instrumental in the Dutch gaining supremacy over other Europeans in the East. The Dutch encouraged non-Javanese to settle as they were fearful of rebellion by the local natives. The Chinese were an industrious race providing the Dutch and the local people with an immense network of individual industry. They also fostered the unofficial interests of corrupt VOC officials by entering into illegal trading ventures. No labour was too hard for them, no service not profitable enough. In earlier days the indigenous community, realising their worth, also appointed Chinese as letter bearers and diplomatic brokers between kingdoms and as respected advisers to the local ruling elite. Traditional Javanese law during the Mataram dynasty stated that a fine (Diya from the Arabic, meaning ‘blood money’) for killing a Chinese was twice that for murdering a Javanese. The Dutch initially allowed the Chinese to live inside the city walls to ensure that their immense volume of trade could be easily taxed. 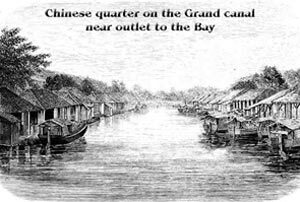 In the early 18th century increasing numbers of Chinese began arriving on the tea junks. The Dutch worried that such numbers posed a threat to security. They tried unsuccessfully to impose restrictions on Chinese migration. A glut in the sugar market led to the closure of several sugar mills and many unemployed Chinese. These unemployed workers began resorting to theft. The Governor General decided in 1740 to enforce transportation of unemployed Chinese to Ceylon to work in the cinnamon plantations. However rumour had it they were going to be dumped at sea. 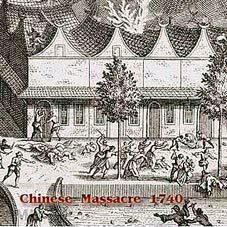 Five hundred Chinese who were shut up in the Town Hall were brought out and killed in cold blood. Thereafter the Chinese lived south of the walled city in the area now called Glodok or Chinatown. 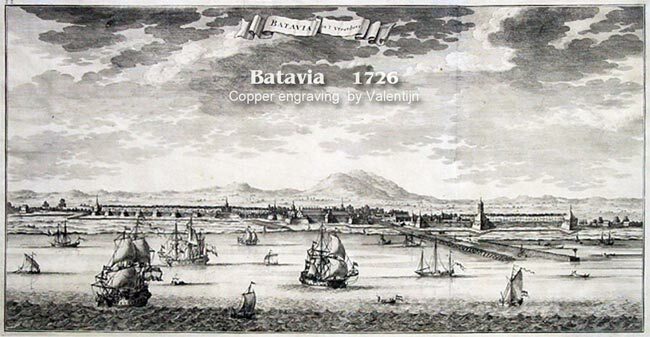 Batavia’s fame reached its peak in the early and middle 18th century when it was called the ‘Queen City of the East’. However it declined when internal corruption and maladministration led the VOC to eventual bankruptcy and it was formally dissolved in 1800. The Dutch Government took over the debts and possessions of the VOC. After the fall of the Netherlands to the French army in 1795, the Dutch sent out Governor-General Daendels to make sweeping changes to what was then known as the Dutch East Indies. 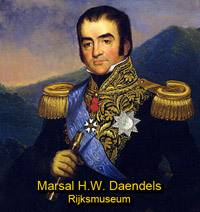 Marshal Hermann Willem Daendels (1808-11) arrived with heavy responsibilities – to rectify the shortcomings of the VOC. Mainly consolidate Dutch authority, assemble defence against the British intrusion and liberalise the administration. He was relatively successful. He improved the deteriorating sanitary conditions by filling in the canals in the old town, which were responsible for such exotic diseases as remitterende rotkoortsen (intermittent rotting fevers), and rood loope (red diarrhoea) and constructing a new hospital. Daendels also took strips of road and made a broad serviceable road from West to East Java. The new road from Anyer to Panaroekan ran for 1,600 km and cut transport time from forty to six days. 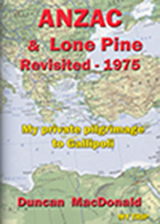 However its construction caused innumerable deaths amongst the native conscripts. His methods of implementation were often harsh. They were based on the unfortunate view (shared by many of his compatriots) that the Javanese were inherently apathetic and lazy. He was recalled in 1811 supposedly because of ill health. Meanwhile in Europe, Napoleon formally annexed the Netherlands in 1811. 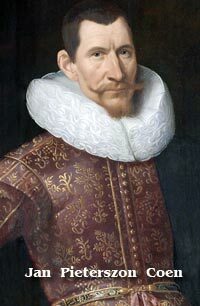 The expelled King of Holland fled to England to request the British look after his colonies. Lord Minto, Governor General of India, led an expedition to Java comprising 12,000 English, Irish, and Indian troops. Batavia was conquered by the British in August 1811. 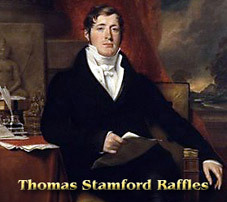 Following the expulsion of the Dutch, Thomas Stamford Raffles, later to become the architect of neighbouring Singapore, was appointed Lieutenant-Governor at a salary of Stg 800 a year with residences in Batavia and Buitenzorg. Raffles restless energy and statesmanship resulted in various new measures. He tried to abolish slavery, which was a time honoured custom. He also substituted Daendels’ scheme of forced delivery of produce with a system the British had used in India, tenant farming. It was Raffles who introduced the British system of driving wheeled vehicles on the left. He also recorded his observations documented in the famous The History of Java (1817). The Dutch in order to meet the spiralling costs of maintaining peace in the Indies, introduced ‘Cultuurstelstel’ or the Culture System in rural areas. The peasants were forced to cultivate export crops at the expense of rice for their own needs. This callous disregard for the local people was another spur to Indonesian nationalistic feelings and disgust amongst Dutch reformers in Holland. 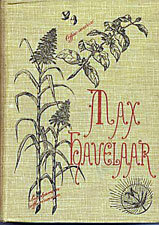 This was highlighted by the famous novel published in 1860 - Max Havelaar by Edward Douwes Dekker. The Dutch reformers reactions resulted in government resolutions to check abuses and introduction of various progressive measures in Batavia and other regions. The first telegraphic line between Batavia and Buitenzorg was inaugurated in 1856. The railway line between these two towns was completed in 1873. 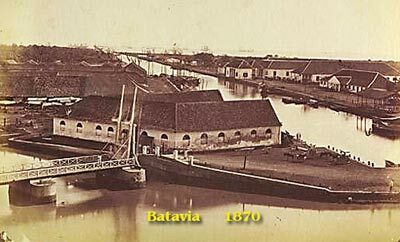 Shortly after the Suez Canal was opened in 1869, it was obvious that Batavia needed a new harbour to cope with increasing trade and traffic. The silting of the mouth of the Ciliwung River made it difficult for ships to anchor. A new harbour was constructed at Tanjung Priok, 14 km east of the Batavia Roads and finished in 1886. Education received an impetus. This in turn accelerated the struggle for independence. In 1908 students formed Budi Utomo, the first organisation to call for freedom. It was at this time that Bahasa Indonesia was promulgated as the national language, the national anthem was agreed upon and the red and white national flag first advocated. 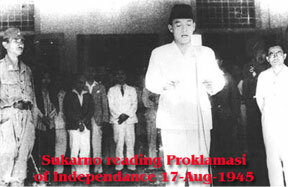 Sukarno a charismatic Javanese engineer who led the PNI (Indonesian National Party) was imprisoned initially in 1929 along with other freedom fighters. The Imperial Japanese Forces invaded Indonesia in 1942. 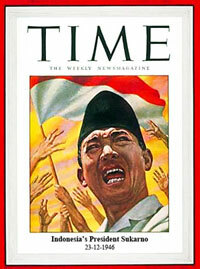 They freed Sukarno in the hope of getting support from the Indonesians for economic progress. 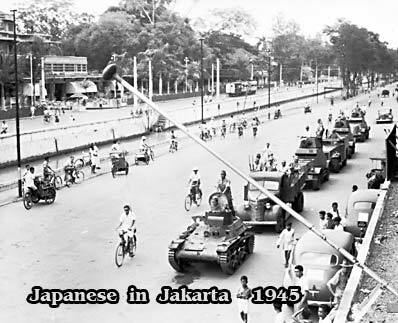 Sukarno was decorated by the Emperor of Japan in Tokyo on 11 November 1943 for his collaboration with the Japanese. The Japanese eliminated all vestiges of Dutch occupation by removing Dutch street names, prohibiting speech or writing in Dutch and interred all ‘pure’ Europeans. They forced the conscription of Javanese peasants, called romushi, to join labour contingents in Burma under false pretences and to serve with the notorious secret police force, the Kempeitai. High-ranking officials were marched through city streets to gaol in their night-clothes to humiliate them. Japanisation was taken to extremes when they decreed all calendars and clocks had to be adjusted to Japanese time. However one decree the Japanese took in 1942 turned out to a wise one. Batavia was renamed Jakarta, a version of the old Jayakarta. After the Japanese surrender in 1945, the Dutch returned. However it was obvious that their time had run out. Rebellions by the Indonesians provoked vicious measures of repression by the Dutch who changed Jakarta’s name back to Batavia and restored colonial rule. In September 1945 the Australian Waterside Workers Union placed a black ban on all Dutch ships operating out of Australian ports . The nail in the coffin of Dutch rule was when the USA government realised that the amount of financial aid it was giving the Netherlands under the Marshall Plan equalled the amount the Dutch government was spending trying to reimpose colonial rule in Indonesia. BINGO ! The Dutch, advised that their funding from the Marshall Plan was at risk, yielded to internal and external pressure and on 27 December 1949, at the former Governor General’s Palace, - Istana Merdeka, Indonesia’s red and white flag was raised over what was Batavia and what would in future be Jakarta.